Action stories don’t usually traffic in complicated, nuanced family dynamics, but Assassinistas is aiming to do something different with the genre. Announced today at San Diego Comic-Con, Assassinistas is debuting as part of Black Crown, the new creator-owned IDW imprint from former Vertigo editor Shelly Bond, and takes a deeply personal approach to the familiar story of a professional killer forced out of retirement. Written by Tini Howard, a rising star who has done exceptional work on established properties like Power Rangers and The Magdalena, this series doesn’t shy away from the complexities of its characters, exploring how their careers affect their relationships with friends and family. Joined by colorist Rob Davis and letter Aditya Bidikar, Howard and Hernandez have come up with a compelling new take on the reformed assassin tale, and pairing a veteran artist with a promising up-and-coming writer is an inspired editorial decision. Hernandez has a lot that he can teach his collaborator, and Howard has a fresh voice that will benefit from an artist with refined storytelling skills and a distinct style. 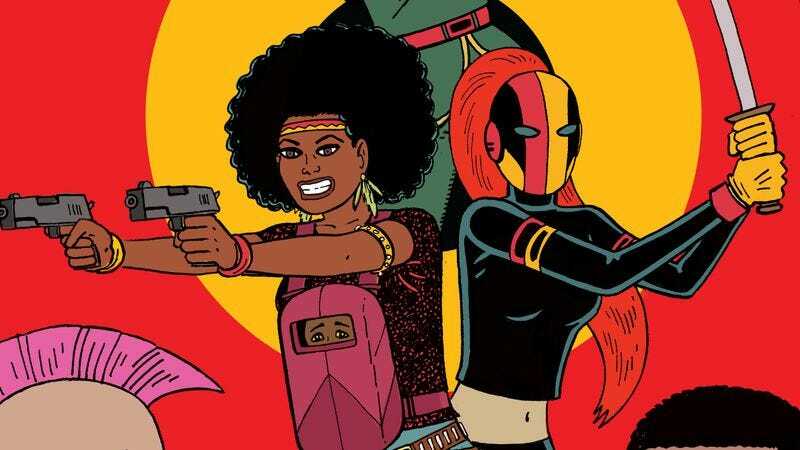 Readers can enter this world of maternal killers and roller disco when Assassinistas goes on sale in December, and they’ll want to keep an eye out on the rest of the Black Crown titles announced at San Diego Comic-Con this week.